As I watched an ad, I realized just how effective these attempts to alter narratives can be. How enticing it is to just let go. To embrace without resistance a fairy tale as truth. Because the fairy tale doesn’t require any accountability for past acts or future trends. And I’m not standing for that. It started innocently enough. I selected a video to watch on YouTube. As usual, an ad ran at the beginning of the video. Nothing from my normal YouTube viewing habits, or the subject matter of the selected video should have triggered this particular ad choice. I have to assume the ad has been released into the American YouTube mainstream. After the ad played, I sat in shock. I never got around to viewing the video I had originally selected. I am providing a link to the ad. I do so not to endorse it, but rather to expose it. I will not embed it, as I have other videos, because I find the message it sends abhorrent. But here’s the thing. None of it is overtly offensive. Or overtly false. That’s the subtlety in play. The ad stresses how Germans did horrible things to Poland in World War II. Germans did bad things to Jews and Poles alike. And Poles, as a country and as citizens, helped those people against the Germans. That they stood for truth, and that they still do (an implied reference to the recently passed law I mentioned). The end hashtag was #GermanDeathCamps. The concept: That the only truth is that the Germans built the death camps. End of story. That ignores the events in the Warsaw Ghetto. That ignores the acts by some Polish citizens to aid the Germans, whether willingly or under coercion, and to use the opportunities presented to get rid of Jewish neighbors and rivals. The ad does not technically lie. Yet at the same time, conveniently tells only some of the story. In the process, it sends a dangerous message. It’s an ad deliberately trying to assault the full story, by only telling a part of it. It’s a subtle form of Holocaust denial. Not denying it happened. Just denying the full truth of what happened. Leaving the blame of it on the long dead, whom we have nothing to do with. And so, we need learn nothing from what happened. Except that Germans were bad. It’s not a denial that it happened. It’s a denial that it has any importance. I can’t express how deeply this disturbs me. Not just because the horror visited on millions of innocents should not be discounted. But also because I can see this more subtle form of denial easily being very effective. First, some background. Poland’s government has been shifting more and more toward an authoritarian state. One of the rules of authoritarianism: Don’t question the state. Supporters of the “Holocaust bill” in front of the presidential palace in Warsaw on February 5, 2018. But also note the flag in the foreground of the photo, on the other side of the police line. Photograph: Dawid Zuchowicz/Agencja Gazeta via Reuters. Now such a law in the U.S. would be a violation of free speech rights granted by the First Amendment of the Constitution. Even if the law were for the prevention of telling lies. Which it is not. Nazi Germany certainly bears responsibility for building the concentration camps in Poland. 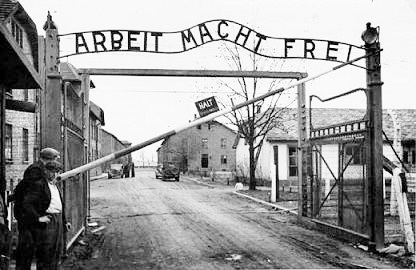 They were, as many in Poland have complained, German death camps. Not Polish ones. But that’s only one way to look at the phrase, isn’t it? If I refer to something as being a “Polish death camp” that tells you I am referring to a German concentration camp established in Poland, as opposed to other areas in Europe. It does not mean I am blaming Poland of the past for the camp’s existence. It is a useful means of distinguishing location, especially when common knowledge already tells all of us that the Nazis created the “death camps.” If you still need clarification, it can be given. So, the term “Polish death camp” is not really inaccurate. Why then should it be illegal? As you can see, while most of the “death camps” were built in Poland, not all were. Source: Wikipedia. Map author: Dennis Nilsson. As for the historical record, my friend, Ed Chusid, makes a good point in his Fist of History blog that the Polish government itself was not actually responsible for or complicit in Nazi actions. But that’s not the whole story either. As Ed pointed out to me, the Poles may not have formed a collaborative government under the Germans, but they also were not given the opportunity either. It is likely that, if they had been given the opportunity, that government would have collaborated, like the others under the duress of German rule. It’s not really like there was much choice in that regard. Collaborate, or be crushed. German persecutions also targeted Polish citizens who were not Jews. The Polish people were victims of German occupation and oppression. They also suffered. They also died. But, for the most part, they were not rounded up into ghettos or camps to starve, work to death, or flat out be exterminated like they were vermin instead of human beings. Polish people tried to help Polish Jews, often at great risk to themselves. Israel’s “Righteous Among the Nations, “which commemorates non-Jews who risked their lives to aid Jews during the Holocaust, includes more citizens from Poland than any other nation. 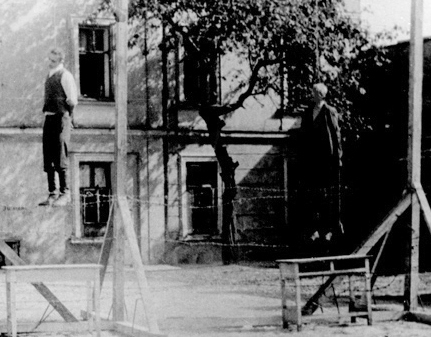 Public execution of ethnic Poles as punishment for helping Jews in 1943. But to claim there was no collaboration with the Nazis, forced or willing, is ludicrous. Records document that some collaboration occurred, as it does in any occupied nation. Further, some areas of Poland enacted their own pogroms against Jews during and after the war, inspired by the Nazis’ actions. 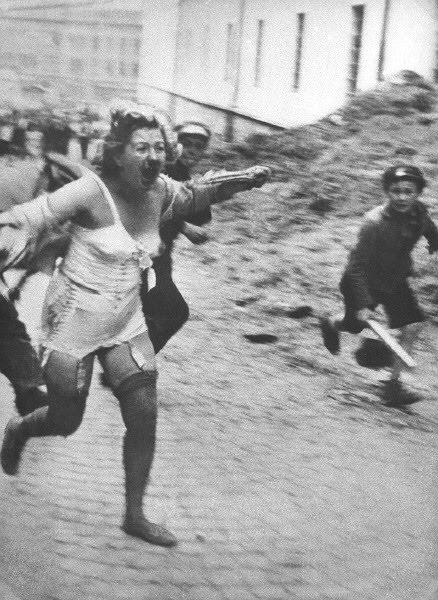 Jewish woman, fleeing from a “death dealer” (whose left leg can be seen at the left-hand edge of the photo) and being chased by others, including a youth with a club. Lviv pogrom. 1941. I remember being shocked to discover that there were Polish citizens pleased with the segregation of Jews into ghettos, to be worked and starved slowly to death. The most infamous of these being the Warsaw Ghetto. Also, indifference thrived. If Jews were taken, what business was that of their neighbors? I distinctly remember interviews about the ghettos, where Poles of the time expressed in one breath that locking up the Jews had been terrible, and in the next, expressing how nice it was not to have those Jews around the neighborhood any more. Poland’s record is not spotless. Warsaw Ghetto. 1940. 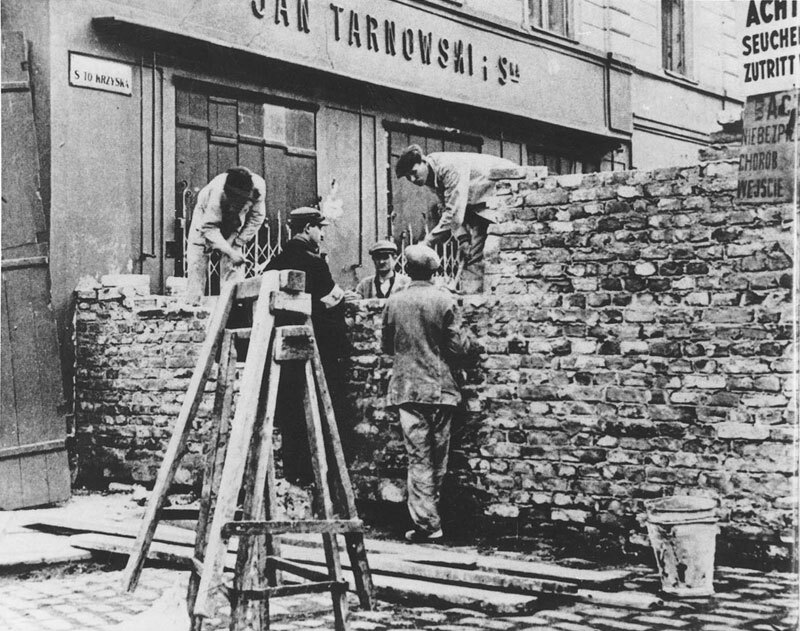 Walling off Jews from the rest of Warsaw. The ad tried to push forward an antiseptic view of a nation’s history. To make us question the value of even thinking about that history. The nation was not complicit. It was entirely a victim. Nothing to be seen here. No questions to be asked. No analyses to be done. No trends to apply to current events. Move along. We do ourselves no service by white-washing events. Especially when it comes to the Holocaust. Because one of the biggest lessons the Holocaust teaches is that normal people can do truly monstrous things. That is a lesson we ignore at our peril. The ad came across to me as an utter denial of history’s value. The thing I faced in one form or another since I was child. The argument that history lacks any real value. A dead subject about past events. Useless. Why teach it? Why learn it? Why pay attention at all? Even in my youth, people sneered at my affection for history as anything other than a dabbler’s hobby. “Those who cannot remember the past are condemned to repeat it.” A useless adage, people argued. History is never the same twice, in the same way that identical twins are not really identical. Therefore, history has nothing to teach us. Today, the counter is that, “History doesn’t repeat itself, but it often rhymes.” Implying there are still lessons to be learned from it. Trends to be gleaned that can help us make decisions about our futures. But I encounter push back on that notion too in today’s rapid-fire world. That was then; this is now. Everything is different now. Nothing to see from history. Move along. I work for some very smart people. Many of them are highly educated. Many are avid readers. I don’t know if any of them give any value to studying history. One of my very smart co-workers looked over at me one day, after I had relayed some historical tidbit. I recall it being a fairly obvious bit of history. She knew nothing of it. She told me she thought it was “cute” that I knew anything about history. Still the subject only for dabbling, as a hobby, in her eyes. Of no value outside of that. Relegated to a pat on the head. Nothing to see here. Move along. I often encounter this sentiment expressed wholeheartedly, without sarcasm. This is our world view. This is, too often, cited as our republic’s view. I have said before that republics, such as the United States, require citizens’ active involvement in order to work. That is the whole point. Government for the people, by the people. To do it right, we have to be informed. About current events. And where they might lead. How can we do that if we don’t know where we are or how we got here? Or how similar events have played out in the past? Trickle-down economic theories have been repeatedly employed in this country at state and federal levels. They have never worked, and usually result in making situations far worse. Yet we keep employing them, most recently in the federal tax laws passed at the end of 2017. How is it that politicians and, more importantly, the citizens who support their election, keep buying into these theories, despite their miserable track record? Because many of us don’t want to look, even at recent history. And so, many of us are unable to learn from the lessons it can give us. We are made up of our experiences. Nothing happens to us in the exact same way twice. There are always variations. But we still learn from those past experiences. We use them to shape our understanding. To make, hopefully, better decisions for ourselves in the future. We put value on that knowledge. We call it wisdom. History consists of the collective experiences of the human race. Of this planet even. It is a pool of wisdom we could, and should, be using to help us, hopefully, make better decisions for all of us in the future. Why deny that value and all that benefit? It is far easier to not have to bother with a host of messy information. It’s hard to take in. It’s even harder to seek it out. It’s much more convenient, at least in the short run, to deny something may be a problem than to deal with it. Maybe it will just clear itself up. This way, we don’t have to feel guilty. Or challenged. Or scared. Or confused. The lure of just letting go. Of just falling into the soft cushioning of false narratives, or no narratives even, is enticing. All too understandable. And dangerous. I don’t claim to be a Holocaust scholar. But let’s at least cover some basics. Survivors of the concentration camp in Ebensee, Austria. 1945. We don’t get to deny this. 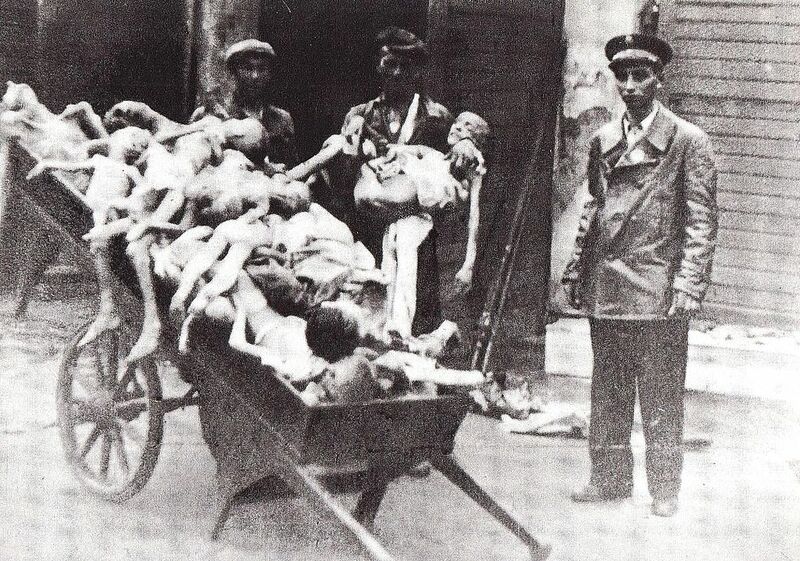 Bodies of children from the Warsaw Ghetto. 1941 or 1942. 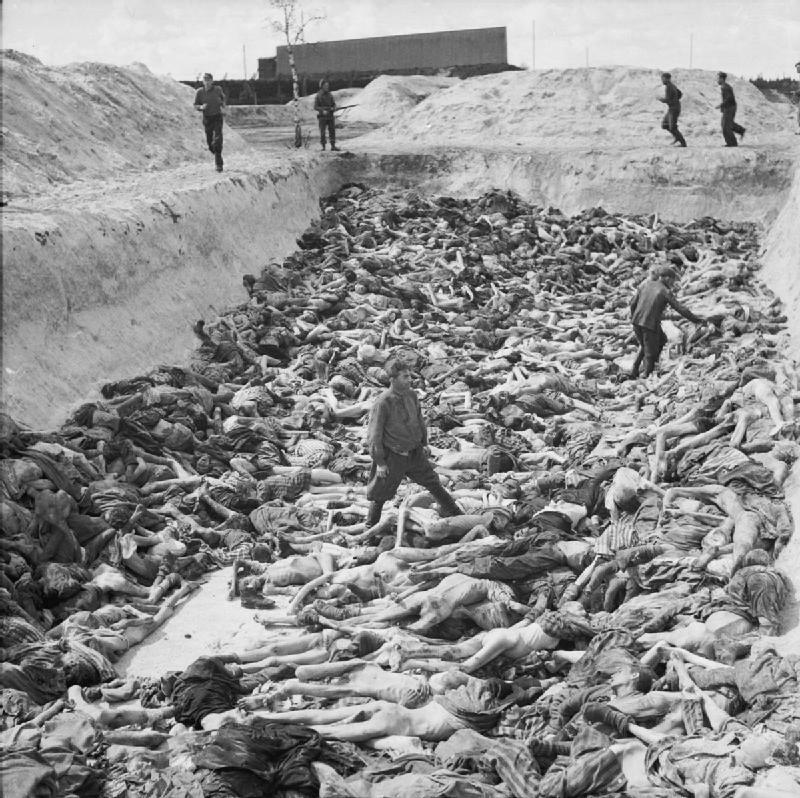 Mass grave at Bergen-Belsen. 1945. Or this. There was no concerted effort by millions in Europe to fabricate some elaborate deception of a nightmare. This horror was real. 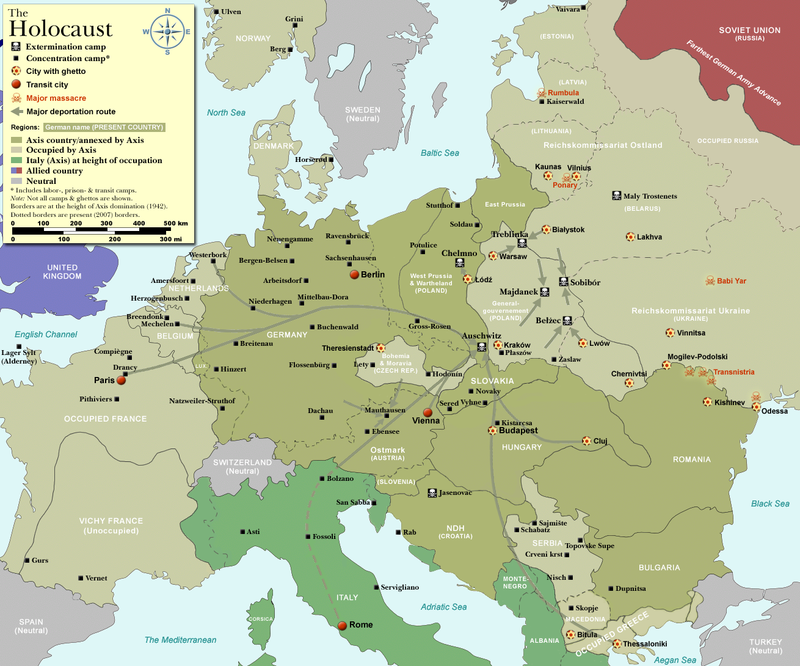 As a result of the Holocaust, about 6 million Jews were killed, or about two-thirds of Europe’s Jewish population. Other targets of the German persecutions included the Roma (a/k/a “Gypsies”), homosexuals, the mentally ill, those with physical disabilities, Jehovah’s witnesses, political opponents, Soviet prisoners of war, and ethnic Poles. Jews remained the biggest targets. One estimate of the total number of those killed, including Jews, comes to about 17 million (e.g., numbers noted by the United States Holocaust Memorial Museum). Some put the number as high as 20 million. This was a cataclysm. The enormity of the horror was too much for those who bore witness to handle. 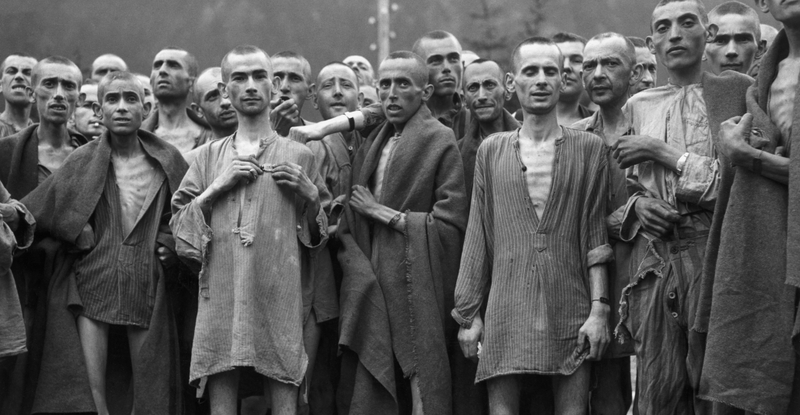 Liberators of death camps rarely wanted to talk about what they had seen. Traumatized survivors likewise had difficulty. I highly recommend reading the graphic novel Maus (references: Wikipedia and Amazon) to get some insight into both survivors and their children’s struggle to comprehend their parents’ experience. But even as witnesses struggled to express the monstrous events, the effects were undeniable in the war’s aftermath. 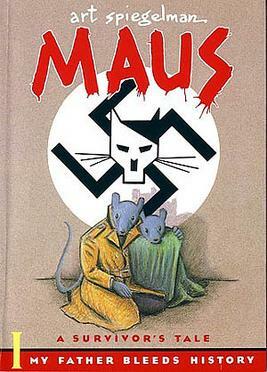 Cover to Volume I of Maus, by Art Spiegelman. Yes, it is an anthropomorphic comic, a choice that has been criticized and explained. None of it takes away from the import of the words. However, as decades passed, the immediacy of events, even ones as enormous as those, faded. First-hand witnesses died off as part of the inevitable flow of life. And it became easier and easier for people to listen to the siren song of letting it go. Denying it happened. Denying means no need to feel guilt at a national or cultural level. No need to feel like a group of people, who is inconvenient to you now, ever had a sympathetic story to call upon. Certainly, no need to use it as a cautionary tale for your own anti-Semitism. No need to check yourself to make sure you aren’t falling on the same type of path that others before followed, culminating in the death of 17 million innocents. Because that’s one of the biggest “inconveniences” about the story of the rise of the Third Reich, and the Holocaust and other persecutions that followed. That they were not committed by a small group of abnormal monsters. A huge number of normal, everyday people, for all too understandable reasons, turned down this path and then rarely looked back. Enlightened, educated, moral, rational people committed this horrible evil. If they could find themselves doing that, can’t any of us, at any time? The bitter pill of this particular history is that, not only did horrible things happen, but that they were done by ordinary people just like you, or me. That is a lesson that we should never ignore. This is not just about specific events leading to unique results. This about how humans react in more general situations. Genetics tell us, people throughout the centuries have remained the same. We still have certain behaviors and psychological hang-ups that we had in centuries past. If humans can behave in a particular way once, chances are they have done it in the past, and will do so again. Photo: Bundesarchiv, Bild 102-02985A. Berlin, Germany, 1933. 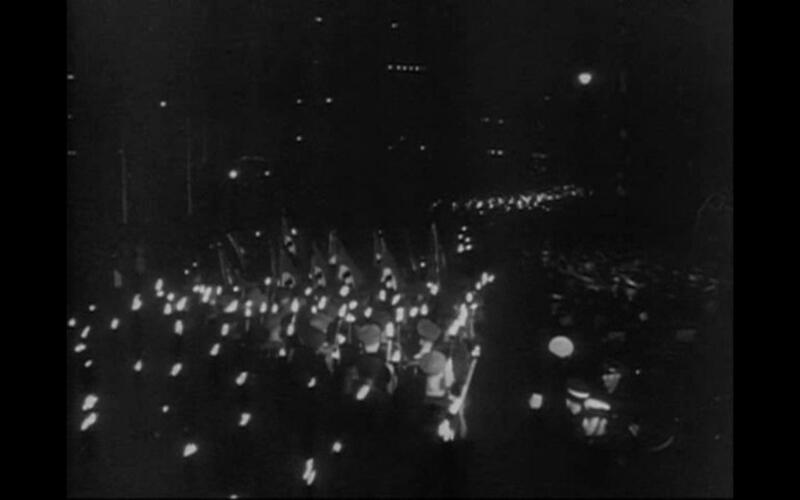 Screencap from Triumph of the Will. Leni Riefenstahl. 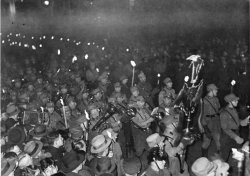 Nuremberg, Germany, 1934. Photo: Samuel Corum, Anadolu Agency – Getty. 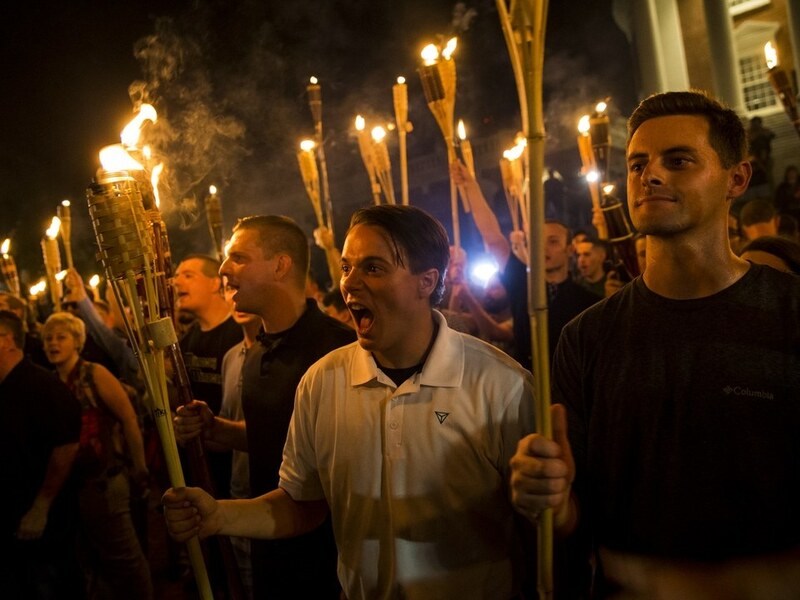 Charlottesville, Virginia, 2017. Photo: Mykal McEldowney, The Indianapolis Star – USA Today Network. 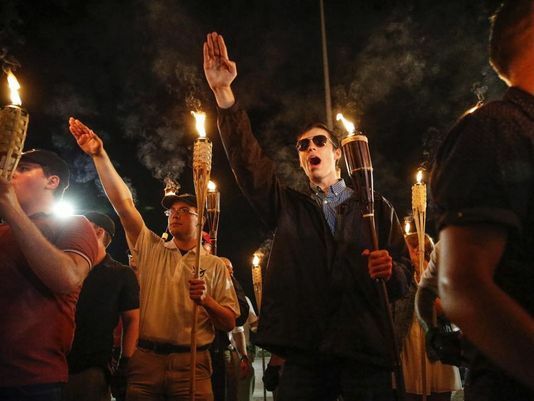 Charlottesville, Virginia, 2017. One defense against that type of behavior is awareness. I have a temper. I tend to flare up at people. But I am aware of it. As a result, I try to keep my temper in check so that I don’t lash out unfairly. And when I do lash out, I am much more likely to realize I have done so and pull back before I go too far. Awareness and checking behavior against that awareness are key to being good citizens of a republic. Denying history prevents us from having the former, and thus adequately doing the latter. Which is exactly what authoritarian states, like what Poland is becoming, want out of its citizens. Do not question. Don’t be aware. Just accept. Let go. Be swaddled in the fairy tale rather than confront the messy reality. Poland’s people were more German victims than collaborators during World War II. It is a disserve to forget that. But there were some who did collaborate. And atrocities were done on their soil. By ordinary people as well as monsters. And we do a disserve to the victims and ourselves to forget it. I reject attempts to paint some cleaned up, single faceted view of history. To chastise me for suggesting there may be more than that to the story. Because the real purpose of white-washing the history is to render it unimportant. To convince me it has no relevance. No value. If the Polish involvement, and lack thereof, in German crimes against humanity on Polish soil is really so pure and innocent, why pay attention at all? Other people committed those atrocities. A group of horrible monsters long dead with no relation, except nationality of origin, to people from today. Nothing from that past has any bearing on this present in any way. Thus, it has nothing to teach us. No trends to be found. Nothing. 17 million people died. Whole swaths of people were wiped out for no crime other than religion, or accidents of birth. They were killed in horrific ways. I will not stand by silently and let that be forgotten. I will not let my friends’ sad family histories, filled with gaping empty spaces made void before their time, be passed off as unimportant. It was ordinary people, for what, to them, were ordinary and proper reasons, who did this. I will not let that be so easily overlooked. Nor will I childishly pretend that ordinary people are incapable of doing similar again. I am always urging people to push back against certain messages in my blogs, it seems. I am doing it again. Too often, of late, we let these backdoor assaults on the truth stand. When people deny that which we know to have happened, reject the denial. When, as with the ad, they try to instead deny that the events have any real meaning or value, push back against that as well. Don’t swaddle yourself in a made-up fantasy of someone else’s design. Seek out knowledge and awareness. Through it gain wisdom. And use to make better decisions about where you want to go and where you want your country to go. I can’t speak for you on this. But speaking for myself, I don’t want to be someone who can’t look at our messy past, see mistakes made, and with awareness, check where I, or our country, are heading today. I want to be a better citizen than that. I want to be a better person that that. I reject denial. Because I don’t want to live in denial. As usual Ann, another great musing on your part. But I feel it is important to make a distinction in what you are saying that you didn’t address. We need to understand history in order to provide context to what we see and experience around us. History is incredibly useful in that regard and gets ignored at our peril. But, and this is a big but, the danger of history out of context can be just as great and can be manipulated to appear either relevant or irrelevant depending on the needs of a particular perspective. (I’ll insert here that none of this is referring to your excellent work here, I offer it as additive). Too often people are quick to cite history as a way of illustrating that a particular current event is either good or bad depending on how it resonates with a similar historical event or period. The danger in this is that it often means too quickly labeling the context of a current event or period as being the same as the historical context of a previous event or period. And doing this can be turned against those wishing to “learn from history” if they embrace the analogy a little too closely or fervently. There is also a danger for those who would seek to say “A is just like B, look at what they have in common!” I don’t know if you’ve noticed but I tend to respond rather strongly to some of Bryan’s threads where he or others are quick to label something by virtue of a similarity to past events or beliefs. So calling something “progressive” or “liberal” because of superficial similarities always gets strong pushback from me. Or as happened recently, the tendency to say “ooh, it’s libertarian, it’s just like Heinlein” gets a pushback from me as well because the connection only works if context is ignored. 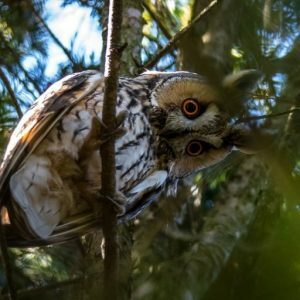 There is real danger in this habit because it means that by engaging in this kind of association in our minds we essentially put filters over our awareness that cause us to look at event C *only* in the context of historical/ideological belief D and we then run the very real risk of not understanding event C in its current context. Having grown up in the 50s and 60s and having been in the middle of so many political and social events of the time I am constantly frustrated by those who either deliberately misunderstand those times in their particular context or who simply, through never having learned about those times and their context, throw out comparisons based on flimsy associations of superficial symbolism (pot smoking, political protest, you-name-it). So I love your commentary here but just felt compelled to add that how well we understand the *context* of any particular history has a major impact upon how relevant our awareness of that history is to present day events. This also means we need to additionally understand the context of current events as well. Here’s a link I got from Jay Rosen to an article about how certain forces are currently creating as much misunderstanding of current events as possible to further ideological goals. Thank you for your well thought out response and for the link. I enjoyed the read. Here comes a very rambling reply. Sorry, I am kind of tired, and I wanted to get something back to you quickly. I agree wholeheartedly with your thoughts here. Too often we create false equivalencies in our historical analyses by ignoring or cherry-picking context. History can give us ideas about trends and tendencies. But not unless we understand the context both past and present. And you are so right. I did not delve into some of this here, because then I would be writing this for another two or three months. I learned from my two part blog on the media, which I first drafted in July, but kept having to add to it. I also agree completely with your comments about filters and oversimplifying or labelling something. Things don’t fit neatly into uniform boxes. But it is so much simpler to analyze things if they do. So, there is a great temptation to just ignore the stuff that does not fit in the box. But we shouldn’t. A geologist doing that would come to the wrong conclusions. If astronomers had done so, we would still be asserting the planets make circular orbits instead of elliptical ones. Not that history is a hard science, but sometimes the most important bits from history are the parts that don’t fit neatly in the box. All this brings up memories from the last election. I would point out how there were points that were similar between some of the rhetoric, tactics and successes of the Trump campaign to those used during Mussolini’s and Hitler’s rises to power. I deliberately tried to point out similarities in people’s responses then and now to these types of tactics and rhetoric and how likely that rhetoric would be to result in practical solutions to constituent concerns. The immediate response I tended to get back was, “I can’t believe you are saying Trump is Hitler.” I would point out how I actually had said nothing of the kind. I was trying make assessments while being mindful of context. The listeners’ filters instead heard me apply an over simplified label without context. Sometimes the problem is making sure that both sides are starting off speaking the same language, so to speak. And that both sides take the time to understand what the other is saying. In the example I just noted, we clearly weren’t. And of course, one of the problems is taking the time to lay the ground work to make sure everyone is starting from the same page. Laying out proper context takes time, especially when only one person in the group is familiar with it. To use another example, I once used a phrase in front of a co-worker, “That dog won’t hunt.” She lit into me about not using that phrase. After I got her to calm down, we discovered the phrase she was used to hearing was “That dog won’t fight,” and she, being a dog lover, was upset by analogies to dog-fighting. She assumed that’s what I said, because she was conditioned to expect it. She heard part of what I said, then filled in the rest. Another way our filters or expectations can distort the message or take it out of context. Being mindful of context and our filters really matter. When analyzing, I constantly try to be mindful of not falling into the pitfalls you brought up in this regard, but sometimes I fail. I have been grateful for the times you have brought up some of the labeling and other issues in response to Bryan’s posts, especially when I don’t catch them right off on my own. Likewise, I am grateful if people point out issues with analyses of my posts. Before writing this particular blog, I had my husband, and two other friends watch the same ad I had seen to make sure I was not the only one taking it they way that I had. You also brought up excellent points about our experiences from our youth. I fear wrongly applying too much emphasis to factors from my youth when analyzing where we are today, and in the process not looking back far enough to other events from the past. I am very thankful my husband, who is a great sounding board for me, is more than ten years older than me. When fast-balling ideas, I often bounce them off of my husband first to see if he has a different view in light of different personal experience. So thank you again for the insightful commentary. I thought the points were excellent. What a fascinating ad. A very strict, manichean structure: Germans versus Poles-and-Jews. Some interesting visual-only notes, like a glimpse of the pope (I think) and the Soviet invasion/occupation. The record is actually worse for Poland. Check out stories of Poles who killed Jews returning home after surviving death camps. I think Poland is learning from Turkey re: Armenia. Excellent. Thank you for bringing up Poland’s record regarding returning Jews. My friend, Ed Chusid, and I were also discussing this part of the historical record when I was drafting this blog. It’s something I thought seriously about adding. However, I ultimately decided to try to keep things shorter than I normally do, so I chose to leave it out, and focus more on events during the war. I have debated throwing something in ever since. So again, I am really glad you mentioned it. I don’t think we have (or ever would have been likely to get) accurate figures as to the number of occupied people who benefited directly by taking Jewish property or indirectly, e.g., lack of competition for local business, and thus turned a blind-eye, actively encouraged the persecutions, or acted against Jews when they returned to reclaim their assets. Like with the collaboration during the war, that this happened is not surprising and not unique, and I am betting that the figures are far larger than we would hope. Which calls to mind a side story. I was watching a documentary on German art appropriation (theft) during WWII. It talked about the struggles with what to do with art known to be from German WWII collections and possibly having been confiscated from Jews during WWII. First there were issues with tracking provenance. Then, if it was discovered to have been confiscated, what to do with it. They showed the story of one U.S. museum that paid a high price for a piece of art, only to find out after the fact that it was art stolen from a Jewish family during WWII. What to do? Museums struggle these days as it is. They would be out money they could ill afford to throw away if they returned it. They would be out PR-wise, and it would be just “wrong” for them to keep it. In the end, it was returned. I can’t remember if the museum was even able to swing a “we’ll let you show it, but it’s ours” deal with the family. The documentary also showed that the Hermitage in Russia has several works of art that are established to have been confiscated by Germans from Jewish families from Poland. The Soviets took them from Germans when they went through Poland, and they ended up in the Hermitage. The Hermitage’s position (and this was, if I recall correctly, also endorsed by interviews with the person-on-the-street) was that the Soviets suffered greatly as the result of the Germans in WWII. This art is their due for all that suffering. That the art originally belonged to people who suffered greatly, were tortured, and killed by the Germans was of no consequence. The Russians acquired it, via the Soviet Union, from the Germans, not the Jews they persecuted. This was war booty that was their due. I found the contrasting attitudes fascinating. Given the different roles and impacts of the war on the two cultures in question, it is not surprising they might develop different attitudes. But, on a personal level and a “we’re all humans in this together” level, I found it also sad. Soviets were victims and did suffer. But to use that as justification for further victimizing other victims just seems wrong. It doesn’t get back at the wrongdoer. It aggrandizes one victim at the expense of another. Again, as an observer of human behavior, I find it understandable, but sad. And yes, when writing this, I had thoughts of Turkey and their explanations regarding the Armenians, too. Especially when researching images for the blog. I kept getting hints to articles and memes of people pushing back against the “there was no Armenian genocide” narrative that I wanted to check out. I wondered if I should touch on it in the blog, but again decided not to do so in the interest of time and brevity (I write long enough pieces as it is). The bothersome part to me is I have no idea why a Polish ad (although it is clearly aimed at an English audience) triggered on a random video I selected on YouTube. The only conclusion I have so far is that I saw the results of an attempt to put the ad into more mainstream (i.e., general YouTube) release. Which disturbs me. Who is the ad trying to convince? And of what? Part of the reason for harsher penalties under Poland’s new law for saying “Polish Death Camps” is apparently because Obama used that phrase in a speech sometime over the last several years. And there was offense taken – “Germans did that; not Poland.” So I can see why they might want to target U.S. citizens with that specific “correction”, but I suspect there is more to it than that. I don’t know why that ad played. It’s possible Poland’s government, or that party, are engaged in a careful ad blitz. It’s also possible that there are few ads others have paid for that respond to the Holocaust. Russia and the USSR: yeah, that’s a deep and tricky one. The Soviets suffered far worse than any other nation in WWII. It’s hard not to sympathize. Turkey and Armenia: I wish I knew more about the past couple of generations on this, because it really looks like an idee fixe. I do know about the genocide, and it looks pretty clear. A few thoughts in further reply. Regarding the Armenian genocide, I have encountered not just opinion, but scholarly claims, that it was not a genocide. And in enough in the right contexts to make me believe this view is now a widely accepted one. Although, I have not really fact checked how widely accepted that view is or the details of the claims, so maybe that’s not actually the case, or maybe I got confused. Regardless, I don’t happen to agree with that view. It seems pretty clear to me too. If I recall correctly, justifications ran from it “technically” wasn’t a genocide to how it really did not count as one, it was something else, which conveniently does not have the same stigma. I unfortunately can’t remember details of who, what specifically, or where, regarding the views voiced. I just remember being surprised the debate had been opened up. Maybe it’s reframing. Maybe it is genuinely insightful re-examining. But I seem to remember that point of view had large support from Turkey. So that’s what I thought you were referring to in your original comment. As for the Soviet suffering in World War II, yes. The cost in Soviet lives was huge. There’s a video. You might have been the one to introduce me to it, but if not, here is a link. It uses graphs to visually represent the number of deaths in World War II. When it gets to deaths of Soviet soldiers (at about 6:01) and later Soviet civilians (at about 9:44) the numbers are staggering, even when compared to other European countries. (The video also shows that high Polish death count.) It really hammers things home when the numbers are presented so graphically (literally speaking, in this case). The Nazi-Soviet war was the biggest and most destructive in human history. I had relatives in it, on the USSR’s side. Ah, I could talk about this for a long time. Re: Armenia, the sanest explanation I’ve heard is that the context was WWI. The Ottomans were facing an attack from the Russian empire. The latter openly encouraged Armenians (nearly co-religionists, being Christian, if a different sect; not Muslim) to rebel, to join advancing tsarist units. So the argument goes that Istanbul was within rights to resettle that population for wartime reasons. If bad things happened, it was local enforcement, not the strategy. Thank you for your insights on all of these subjects. And yes, much of WWII history (and WWI history) makes me weep for the human cost.